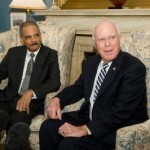 The prevailing wisdom is that Eric Holder will be confirmed as the new Attorney General come early 2009. But the prevailing wisdom is also that some Republicans will give him a hard time over the pardon of the infamous Marc Rich. WASHINGTON — Sen. Arlen Specter (R-Pa.), the ranking member of the Judiciary Committee, wants to slow down the process of confirming Eric Holder attorney general, citing lingering concerns about the nominee’s role in the 2001 pardon of Marc Rich. 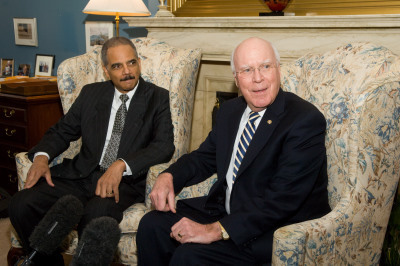 Earlier this week Judiciary Committee Chairman Patrick Leahy (D-Vt.) set a Jan. 8 confirmation hearing date for Holder and said he would like the nominee confirmed by the time President-elect Obama takes office on Jan. 20. 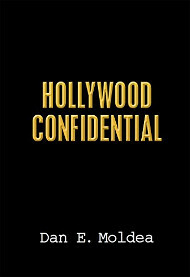 “There are questions which have to be inquired,” Specter, a former Philadelphia district attorney, said. Specter said he has drawn no conclusions about Holder’s role in the pardon of Rich, but cited lingering political fallout from the controversial tenure of former Attorney General Alberto Gonzales and the need to ensure the department stays nonpolitical.